"Bus stop rat bag. Ha ha charade you are". Yes Sir Indeed. Pink Bloody Floyd! There's absolutely nothing to say about the U.K. legends that hasn't already been said, written about, filmed, and basically done to death really. I guess I could add some of my very personal take, nonsense and opinion(s) about the mighty space rock progsters. Products of the flower-power hippie generation and I absolutely loathed the band and everything they stood for as the rather ignorent kid. Merely the fan for a short period of time and probably not worthy of coming up with the Big-10. But seriously... who gives a damn? :) Hallelujah. I've seen the light. I reached for the secret. I cried for the moon. Shine on people..
"We don't need no education. We don't need no thought control". Originally formed in late 1965 by Syd Barrett (RIP), Nick Mason, Roger Waters, and Richard Wright (RIP) as the 'Pink Floyd Sound' and the strange moniker is from the names of two blues musicians whose records Barrett had in his collection (Pink Anderson and Floyd Council). They slowly begun to build up a fan base at the UFO Club in London, dropped the 'sound' part from the name and signed with EMI in Feb 1967. The second single, "See Emily Play", a minor hit and also the end of the Barrett's fronted version of the band as his metal health worsened. They added guitarist/vocalist David Gilmour to the line-up and thus the start of the more progressive concept era. Non-believers (like yours truly in the past) complain about weird experimential concepts and long and boring compositions (that's art-rock and progressive music for ya'). Yet they are one of the most commercially successful bands of all time. 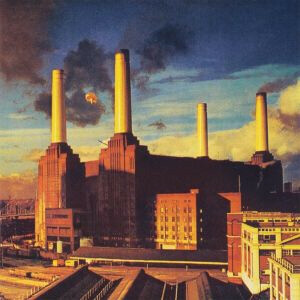 They have sold more than 250 million records world-wide and surely must be regarded as mainstream music after all? "Run rabbit run. Dig that hole, forget the sun". Actually. You need the opening a) part, 'Speak To Me', to fully appreciate this track aka b) part of the opening epic pieces from The Dark Side Of the Moon. To be completely honest, you need the spacey 'On The Run'-section too. It will have the krautrock fan in ecstasy. Blimey. Did we just include three songs? Nah. Argh! 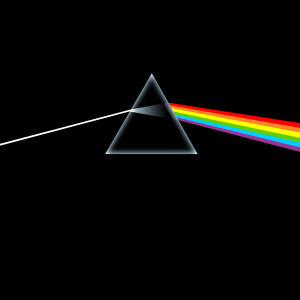 Here's the fun Waters quote, "When I say, 'I'll see you on the dark side of the moon'. What I mean [is] If you feel that you're the only one, that you seem crazy [because] you think everything is crazy, you're not alone", end quote. "He always ate in the steak bar. He loved to drive in his Jaguar". The vivid mind of Waters, truly his best as well as worst segment. Indeed. 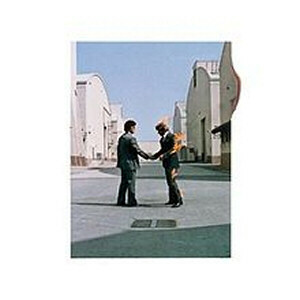 Track two from 'Wish You Were Here' and Roger experimented with various synthesisers to come up with the spacey and overall metal sound of the machine. Lyric deals with the modern human, possessed with material to the point that he becomes estranged from himself and others. Waters continued to explore this subject on The Wall. Lovely space/art/prog rock and the great mix of acoustic guitars. "We're just two lost souls, swimming in a fish bowl, year after year". The rather simple and straight-forward arrangement and formula when it comes to Pink Floyd. The absence of a person or a feeling. It deals with the many ways that people pretend to be present while their minds are elsewhere. You may also pick up the absence of Syd and the overall gloomy attitude as always. Several sections... might just remind you of Jackson Browne and The Eagles. Let's make one thing clear, I'm not here, you're not there. It's the concept of non-being. The alienation from others (Marx) and basically turning your back to the outside world or the conception of reality. "I turned to look, but it was gone, I cannot put my finger on it now, the child is grown". What kind of social structures create or cause madness? Are you truly living or it is merely the work of the non-being? 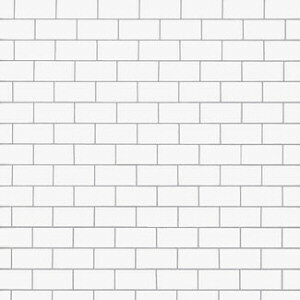 The epic song from The Wall and the perfect feel-good moment? "Come on you target for far away laughter, come on you stranger, you legend, you martyr, and shine". One of those songs that are almost too painful to listen to. Melancholy to the extreme and refering to the disappearance and mental decline of their original band member/leader Syd Barrett (RIP). The legend came to the studio while Pink Floyd were working on "Wish You Were Here", the band did not recognise him at first, and he wasn't really 'there' anyhow. "Now there's a look in your eyes, like black holes in the sky". That's LSD - the zombie drug. Marvelous tune.